You love crocheting but are not sure how crocheted clothing would fit into your wardrobe. You are used to thinking that crochet is for making afghans and you would not wear anything that resembles one. You like the idea of crocheting a garment but are afraid it will turn out “homemade” rather than “handmade”. Here is a design and a pattern which has got it all covered. Clean, minimal and chic, this simple straight top will take the place of “the little black dress” in your wardrobe. It will become that ultimate sleeveless top which can be dressed up or down depending on the occasion. Make it any colour you fancy and add it to your favourite outfits as a third piece and an extra layer of warmth. 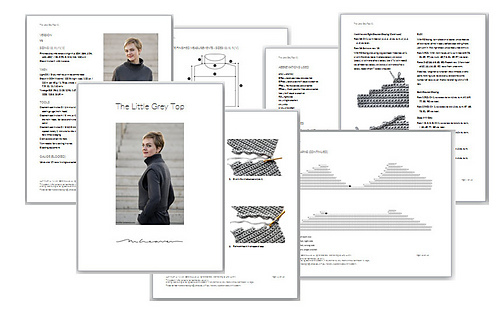 The pattern will give you plenty of guidance to make sure you create this top to a high standard of craftsmanship and get those all-important seams and edgings just perfect so you can wear your handmade garment with pride. Read more about this design on www.msweaver.com.